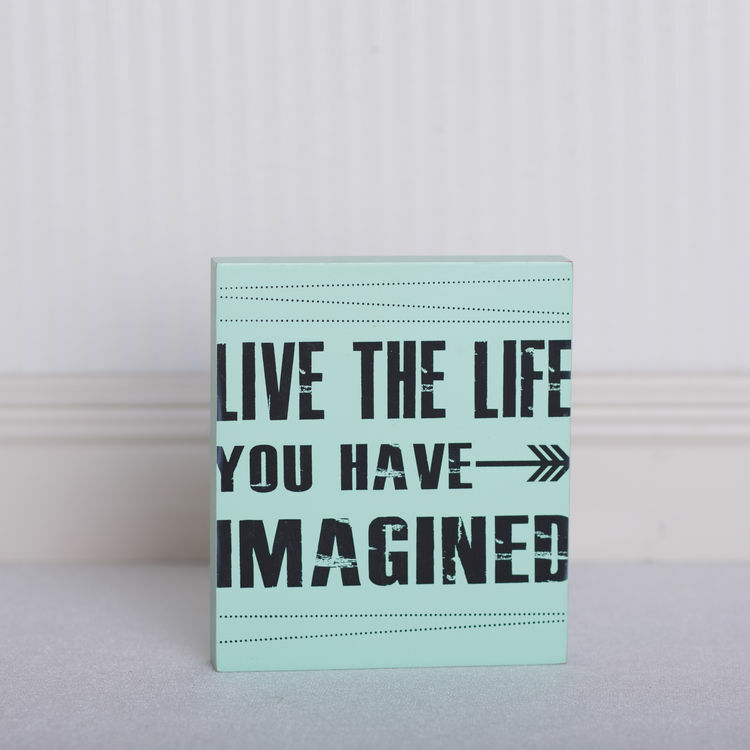 ‘Live the Life You Have Imagined’ is one of our new favorite Home Decor signs. We love the color, the phrase and the size! It’s pretty much perfect. You can purchase this sign here. This is the season of giving and this would make a great gift! We are adding it to our list. Wrap the sign up with a little ribbon and a handmade wooden tag and you’ll be all set. Wooden sign measuring 9″ x 7″ x 1-1/2″. This Wood Block says “Live The life You Have Imagined”. This entry was posted in Home Decor, New Seasonal & Special Occasions and tagged Home Decor, Wood signs, Word art.